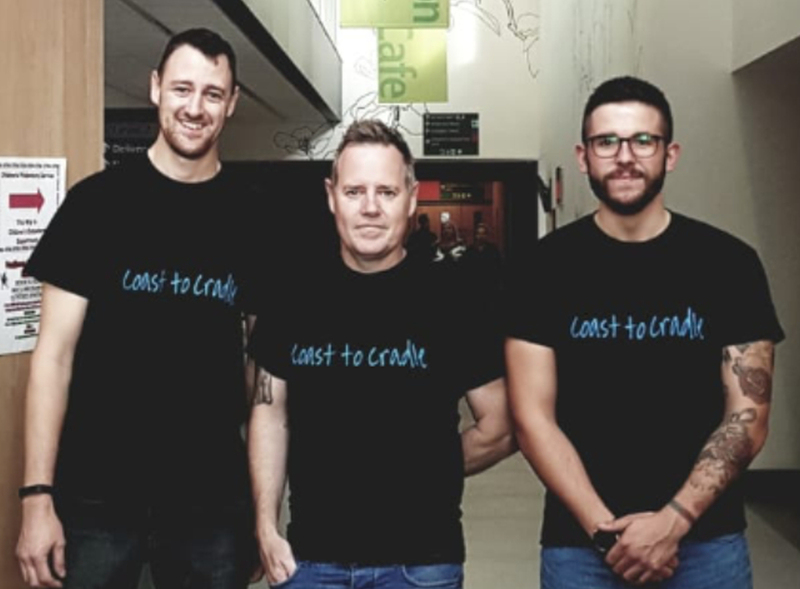 Three men are to walk 85 miles from the North Wales coast to the Princess Royal Hospital (PRH) in Telford to raise money to help families suffering loss through miscarriage or stillbirth. David Jones, Sam Pryce and Neil Nolan will walk from Llandudno to the hospital on 1 September to raise money for Maternity Unit at PRH. The 30-hour non-stop trek will take place on the day Sam’s daughter, Mabel, was due to be born. Sam said: “Our ‘coast to cradle walk’ will support the amazing care the maternity ward provides to families effected by miscarriage and stillbirth. The trio, all from Telford, have been training for the event by walking up the Wrekin. They are hoping to complete their walk at around 2pm on Sunday 2 September and are hoping people will gather to welcome them home. The men have set up an online donation page at JustGiving and have already reached 70% of their £1,000 target. Jan Latham, Bereavement Midwife at The Shrewsbury and Telford Hospital NHS Trust (SaTH), which runs PRH, said: “We are overwhelmed that David, Sam and Neil will be undertaking this epic walk and so thankful for their generosity.